FREE ADMISSION, PARKING, AND ACTIVITIES! 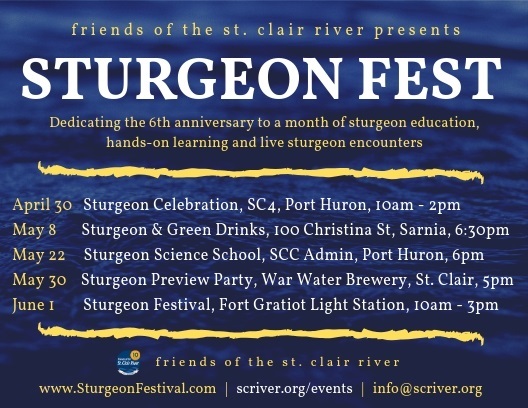 Sturgeon Festival is a family-friendly event, sponsored by Friends of the St. Clair River, centered on providing close encounters with the “Giants of the Great Lakes”. 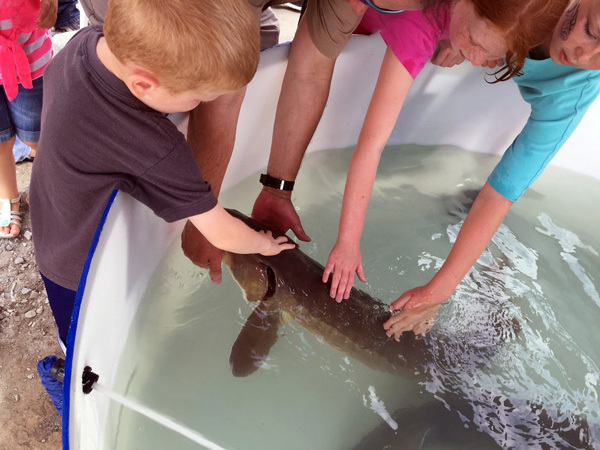 Browse a dozen indoor & outdoor displays with hands-on activities, drop-in a workshop, touch a live sturgeon and other native fish, or take a ride on our exclusive Huron Lady Sturgeon Cruise. Sturgeon are phenomenal to see up close because they reach enormous size - weighing up to 150 pounds, growing over 7 feet, and living over 100 years. 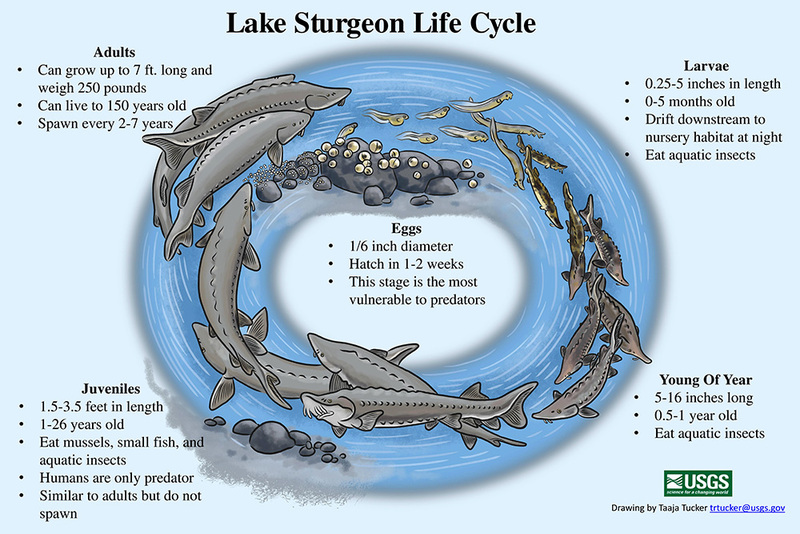 The St. Clair River supports the largest remaining population of threatened lake sturgeon. Over 10,000 lake sturgeon call underneath the Blue Water Bridges home which makes it possible to see these majestic fish at the Sturgeon Festival. Lake sturgeon populations have declined since the early 1900’s, and as a result were added to the Threatened Species list in Michigan. In recent years, the lake sturgeon has made something of a comeback due to completion of numerous spawning reefs in the St. Clair River. Sturgeon can be used as a spotlight species to gauge the health of the river, and with sturgeon numbers slowly on the rise we are assured that the health of the St. Clair River is also improving. A sustainable fish population and healthy river is not only important for our health but it means increased recreation and tourism for the Blue Water Area. 10:00 a.m. • 11:30 a.m. • 1:00 p.m.
Get a glimpse of these enormous fish on Friends of the St. Clair River's exclusive Huron Lady Sturgeon Cruise! Courtesy of Gregory A.D. scuba divers, sturgeon cruise guests watch live video of lake sturgeon swimming in the St. Clair River on big screen televisions on deck. 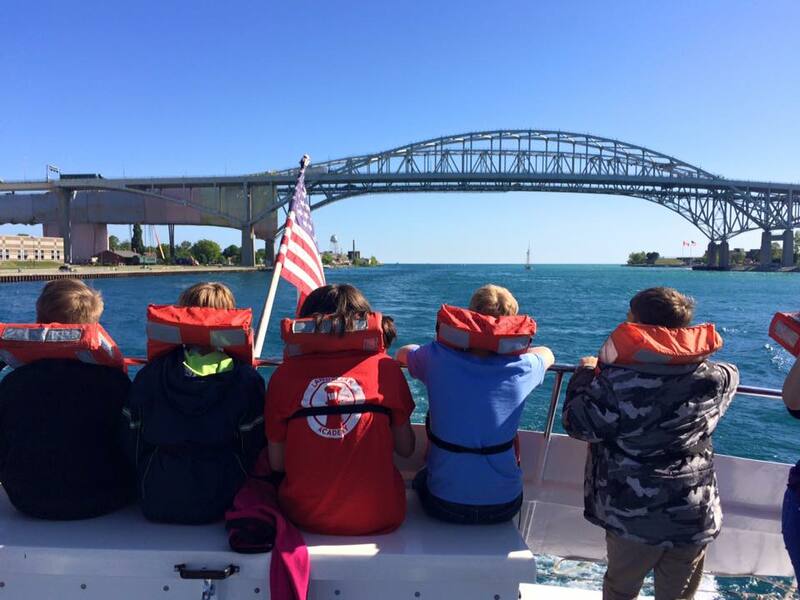 Enjoy the St. Clair River and the beautiful expanse of Lake Huron on this 1 hour cruise narrated by sturgeon experts. There are only 100 seats available each cruise, so don’t delay, get your tickets today! Boarding for the sturgeon cruise begins promptly 20 minutes before departure. The sturgeon cruise takes place rain or shine. In the event of severe weather, the cruise may be delayed up to 30 minutes, but not longer than 60 minutes. If the boat captain deems the weather too severe to delay or to leave the dock, the boat will remain moored and the 1-hour sturgeon presentation will take place dockside on the boat. Tickets are non-refundable and non-transferable. Join us at War Water Brewery for a festive fundraiser party to kick off the Blue Water Sturgeon Festival! Support us with a $20 donation at the door to receive your exclusive festival pint glass, 2 beer tickets or 1 wine ticket, and a door prize ticket. Sip on the tasty Resurgin’ Sturgeon Rye, view live sturgeon in fish tanks, meet Lake Sturgeon biologists and researchers, and take home some Sturgeon Festival prizes. Hope to see you there! War Water Brewery is located at 201 N. Riverside, St. Clair. It’s a live sturgeon encounter! 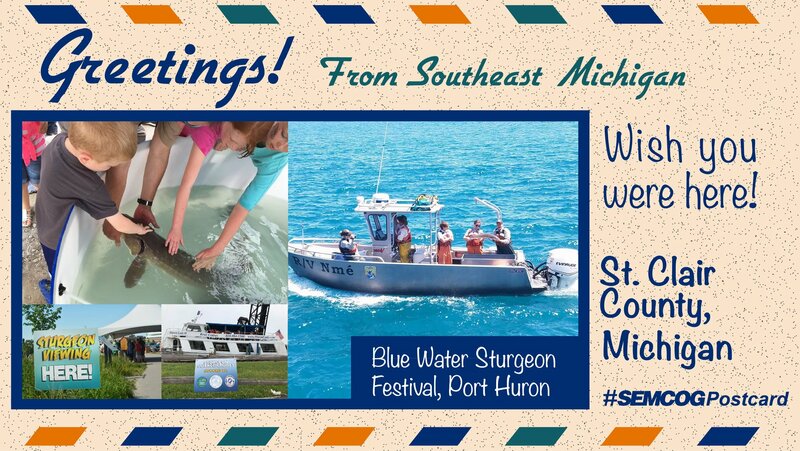 Meet the fisheries biologists and sturgeon experts from the MI DNR and US Fish and Wildlife Service that are conducting ongoing sturgeon assessments in the Blue Water Area. The touch tank exhibit is a timed entry system. Drop in for a 20-min presentation inside the Fog Signal Building. Workshops are general seating and open to all ages. Vote for your favorite 5th grader’s sturgeon story using your pocket change! The top three winners are announced at the close of the festival. 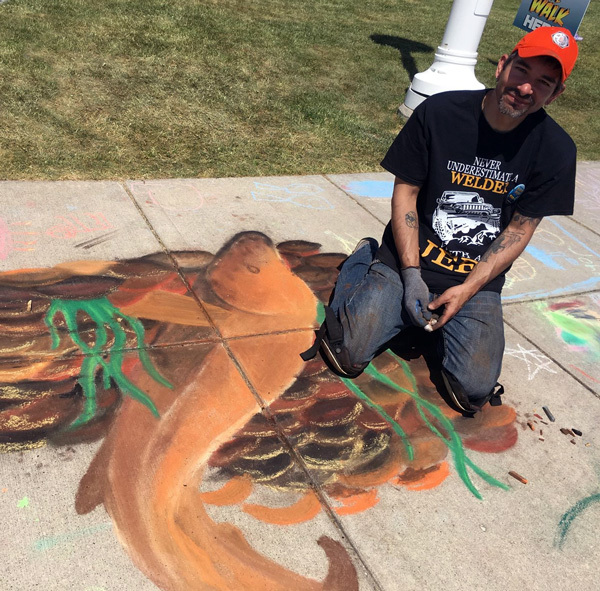 Join artist Lou Rodriquez to create a stunning sturgeon masterpiece in chalk! Lou is the artist who designed and built our beloved Stella Claire, the giant sturgeon sculpture on Blue Water River Walk. Help Lou bring the art to life by dropping in anytime to watch him or add your own touch to help complete the work. 10am & 2:30pm - Join Fenton White Eye from Canada’s Walpole Island as he shares through a traditional drum ceremony the importance sturgeon has in food and survival for the Native American culture. New this year! 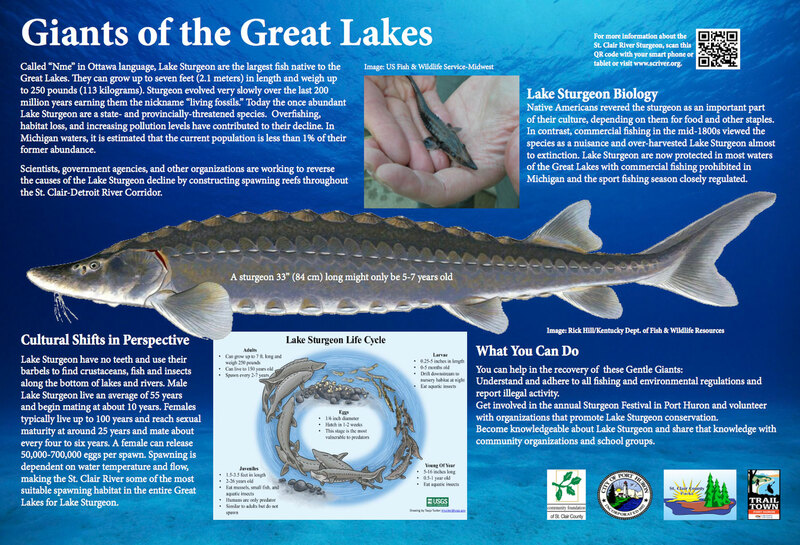 Your Lake sturgeon adoption kit will includes a 10” soft plush sturgeon, formal adoption certificate with naming opportunity, species spotlight card full of data about your sturgeon, and connection to additional data as it becomes available. Click here for more info. Did you know? 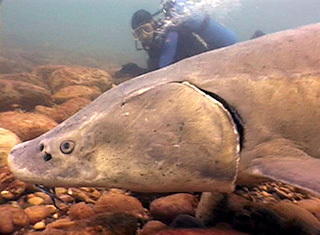 The lake sturgeon is often called a "living fossil”. It’s part of a family of fish that has existed unchanged for more than 135 million years. 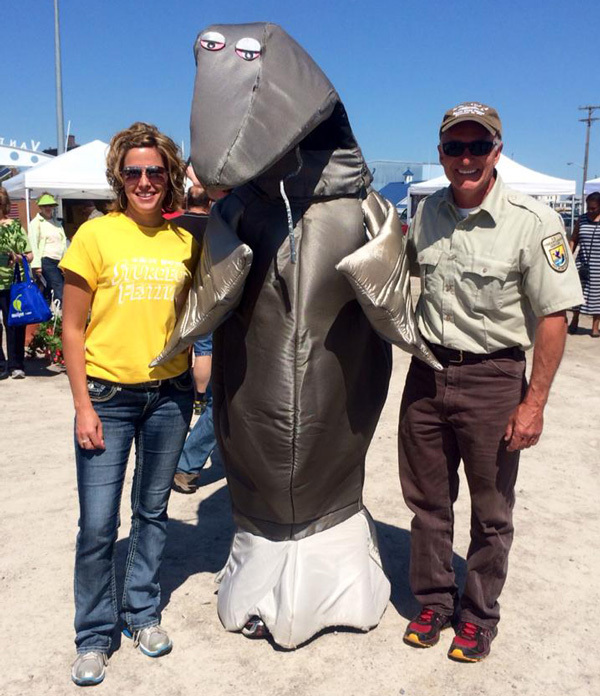 The Sturgeon Festival, organized by Friends of the St. Clair River, is a partnership between natural resource agencies, government, industry, scientists, anglers, and recreationalists in order to highlight the ecosystem approach to managing fish and wildlife in the St. Clair River and to increase interest in restoring the lake sturgeon to higher levels of abundance. With everyone’s cooperation, this “Gentle Giant of the Great Lakes” will be saved from extinction for all to enjoy.